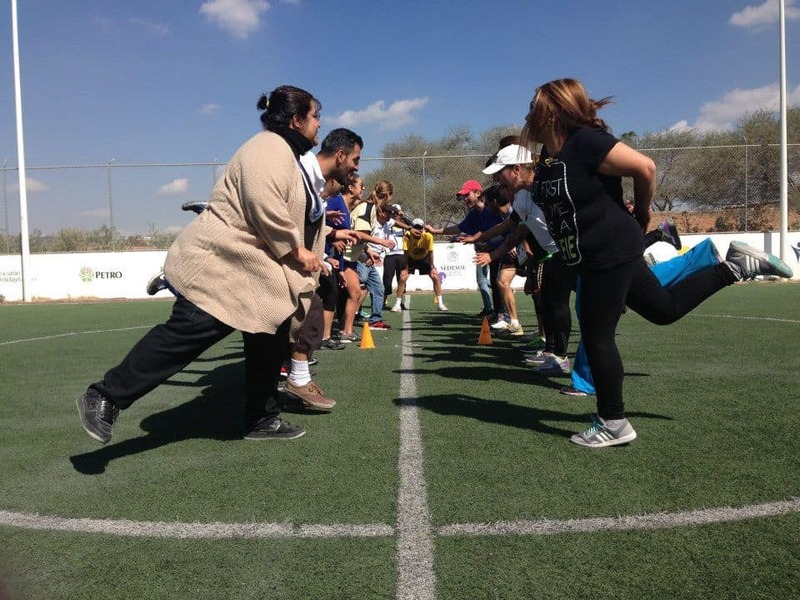 2nd time Coaches Across Continents volunteer Marie Margolius blogs from our recent Mexican program with the Rafa Marquez Foundation. February 2nd 2015. The second week of our Mexico trip brought Anna, Nick, Markus and I to Guadalajara to work with the Rafa Marquez Foundation. The Foundation was built with three cornerstones of children’s rights in mind: Nutrition, Education, and Sport. The Foundation aims to allow the children of Mexico access to each of the three. Each day, the 700+ children that are enrolled in the program make their way to one of the two Rafa Marquez sites, where they receive lunch, attend classes including computer science, reading and writing, and are provided with a BEAUTIFUL space to play the sport of their choice. And in the midst of the run-down, poverty and violence-stricken neighborhoods where the Foundation sites are situated, using the word “beautiful” to describe the sites seems to be an understatement. RFM provides it’s kids with a safe haven; a clean place that doesn’t match their dirtied clothes and faces. A place where dozens of volunteers and employees shower the kids with caring affection that they might not receive at home. A place where they can run, laugh and play freely without any trace of the violent life that Mexico’s streets contain. It is a beautiful place both for it’s stunning grounds and also for all of the things it offers and represents for the children who attend. While the Foundation encourages kids to play sports as a part of their effort to keep them safe and productive, it doesn’t use sport for social impact, so the room for RFM to grow into that space using CACs games was very exciting for us. Most of the adults we worked with were not actually athletic coaches, and in fact many had no athletic experience at all. 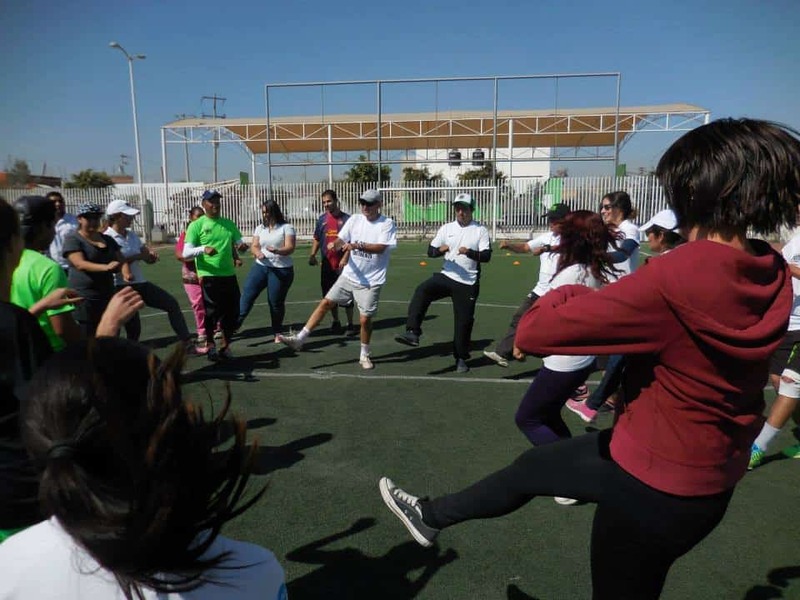 They were teachers, parents, psychologists, social workers and volunteers, who were simply excited to learn and improve the already amazing Rafa Marquez Foundation. This made the dynamic of the week unique and exciting, presenting us with the challenge of putting together a curriculum of games that could be played in almost any setting — not just on a soccer field. As of right now, RFM has physical education-like classes for ages 4-15, and allows the kids to use the facilities as they please. By the end of the three years of the CAC Hat-Trick Initiative, we hope that the fields of RFM will be alive with the CAC social impact games, providing even more value to the “Sport” aspect of the RFM. After our three hour training session each day, Anna, Markus, Nick and I hung around the Foundation, eating lunch with the kids and watching their on and off field classes. One day a four year old boy and his sister came up to Anna and I and made a startling confession. Attempting to translate his Spanish, Anna and I heard the boy talk about being hit by his father who didn’t live with him anymore. Another day, a social worker told us stories of the all too common sexual and physical child abuse in various homes. Nick and I drove through the neighborhood to see closed and run-down shops, houses with plastic tarps as roofs, no running or clean water, and one or two twin sized mattresses as beds for three times as many bodies. As we learned more and more about the context that the RFM exists in, we grew more impressed and moved by the Foundation’s impact. They have started by providing children with some of their most basic rights: food, education and safety. We hope that in years to come, the CAC curriculum can add to this base and help provide these kids with skills they can use outside the four walls of the RFM classrooms and off of the soccer pitch, too. During the course of our week long program, Nick, Markus Anna and I focused on the problems that the RFM helped us identify: drug and alcohol abuse, gang violence, child abuse and gender inequality. With such an intelligent group, most of whom were women, I was excited to learn about the culture of gender in Guadalajara. On the last day, we played a game called Brazil for Attitude. The game is simple: the coach asks the players to do a number of different things, first “like a girl” and then “like a boy.” Invariably, when told to run like a girl, the participants trotted around slowly with their arms and wrists flicked out to the side in unathletic form, in contrast to the hard and fast sprints they offered when told to run like a boy. When asked to punch or kick like a girl, dozens of yelps and whimpers accompanied half-hearted flailing arms and wimpy kicks. When providing examples of boy-like kicks and punches each participant concentrated and delivered hard, vicious blows. ** The responses from the participants, which we expected to see, were not unique to Guadalajara, and provided a small indication of gender situation and interpretation in Mexico. The exercise exemplified how much room for improvement there is in the realm of gender equality, even among this group of supremely educated and kind people. We cannot wait to see this improvement in the Rafa Marquez Foundation over the next three years. **CAC has a Female Empowerment game called Brazil for Attitudes and we were delighted to see an independent version highlighted by the brand Always in their “Like A Girl” campaign, shown during the Super Bowl and attached here: https://www.youtube.com/watch?v=XjJQBjWYDTs We are grateful to Always for bringing this universal problem to an international audience as we at CAC see this issue every day.